Large numbers of police units raid Abu Sayef compound in Tel Aviv-Jaffa, where gun and drug trafficking and illegal construction suspected. Authorities conducted a large-scale raid in Jaffa, south of Tel Aviv, Tuesday morning, targeting what police say was the center of a massive gun smuggling and drug trafficking ring inside Israel’s second largest city. The raid took place in the Abu Sayef compound, owned by the Abu Sayef family, in Jaffa. Police say the compound was a haven for criminal activity, with illegal transactions including large-scale drug deals and weapons deals taking place there on a regular basis. In addition, authorities say the compound was the site of illegal construction, and was used as a sanctuary for infiltrators illegally residing in Israel. The crackdown, police say, is intended to restore a sense of security to local residents, who have been harmed by the criminal element’s activities in the Abu Sayef compound. A number of city and state authorities were involved in Tuesday’s operation to investigate a wide variety of charges. 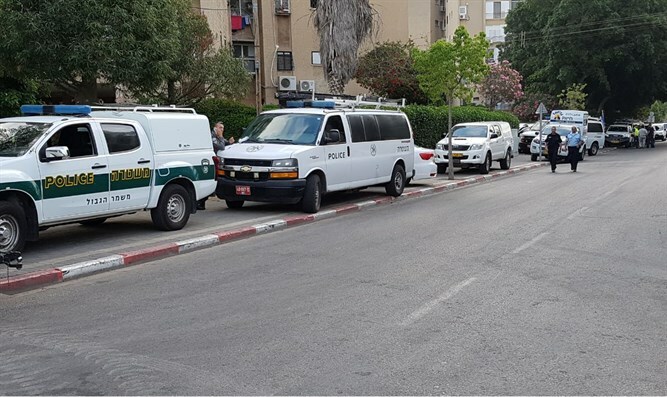 Authorities involved in the raid included the Israel Land Administration, the Tax Authority, the Israel Electric Corporation, the gas safety administration, the National Insurance Institute, and the Agriculture Ministry among others.